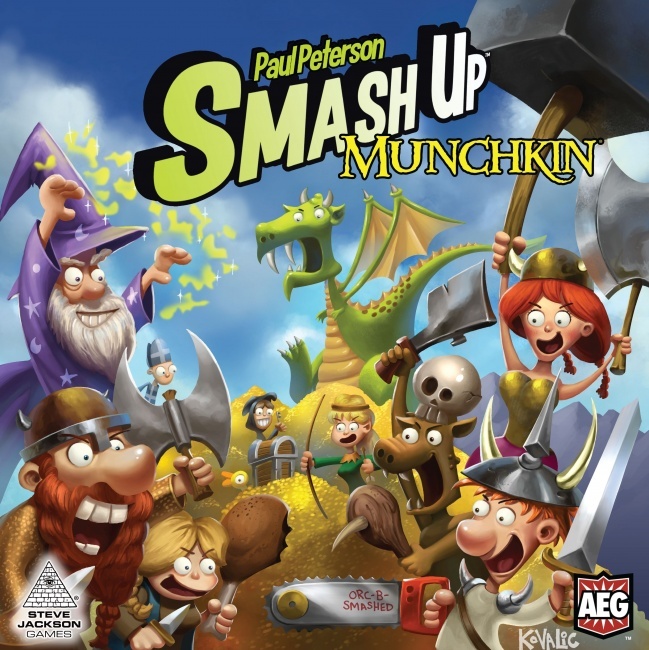 Alderac Entertainment Group and Steve Jackson Games will release Smash Up: Munchkin, a mash-up deck building card game of Munchkin and Smash Up. The game will premiere at Gen Con, with trade release following in September. Players take 20-card faction decks from any two factions (Clerics, Halflings, Orcs, Warriors, Elves, Thieves, Dwarves, Mages), shuffle them into a 40-card deck, and them attempt to smash more bases than the other players. The box contains 8 faction decks with 20 cards each, 20 monster cards, 22 treasure cards, 16 base cards, 10 dividers, a token sheet and a rulebook. 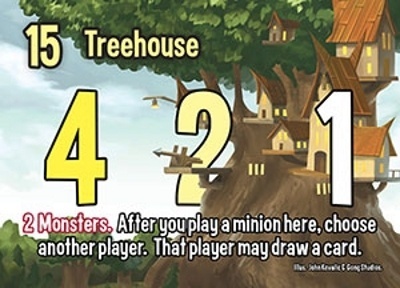 The game is for 2 - 4 players, ages 12 and up, and plays in 45 minutes. MSRP is $34.99. 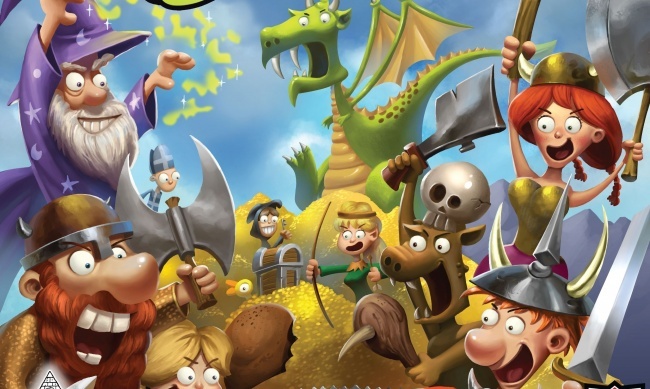 Alderac has shared several preview cards, featuring new Munchkin art drawn by John Kovalic and painted by Francisco Rico Torres and Gong Studios, which are gathered in the gallery below.